M-F usual office hours, but we will return your contact asap. 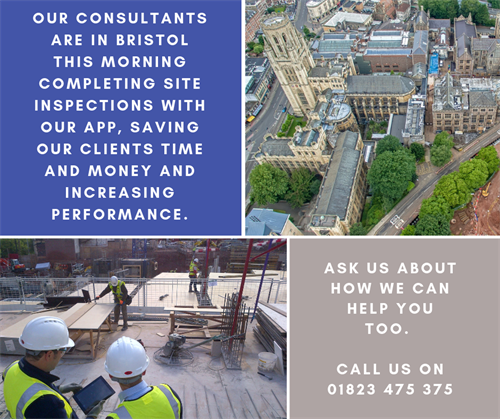 CHASE (Construction, Health And Safety & Environmental Services) Consulting Ltd provides advisory services throughout the South West and further afield across a range of industries, including construction, education, telecoms, engineering and social care. Our fully qualified consultants enable organisations to outsource all or part of this important aspect of their business. By becoming involved in all aspects of your health and safety we relieve you of the burden of its management. We tailor make each consultation to directly meet your individual needs. 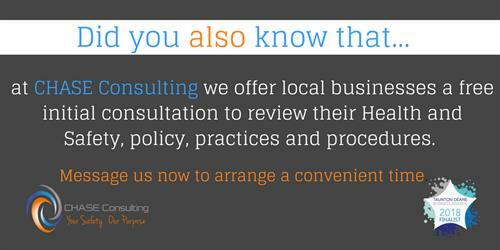 Meaning that our consultants can provide unlimited support to ensure compliance with all legislation. We'll come to you, or meet you in a location of your choice.